I’ve been reading this forum for a while and decided to register and share my 1999 C2 ownership with you who are interested! 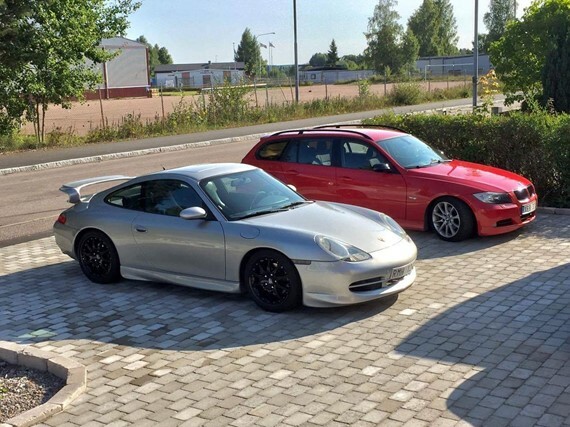 I live in Sweden and have always been a car guy. Earlier only into BMW’s, but that changed a couple of years ago. I was thinking of getting my first Porsche but I ended up with a BMW 2007 Z4 Coupe. 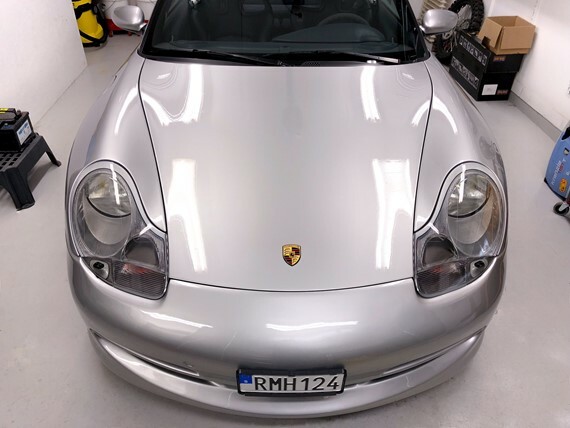 After enjoying it for 4 months I started looking into 996’s once again and a pretty close to perfect car came up for sale, not far from were I live so... Decided to go have a look, mostly for fun but fell in love and went back the next day buying it. 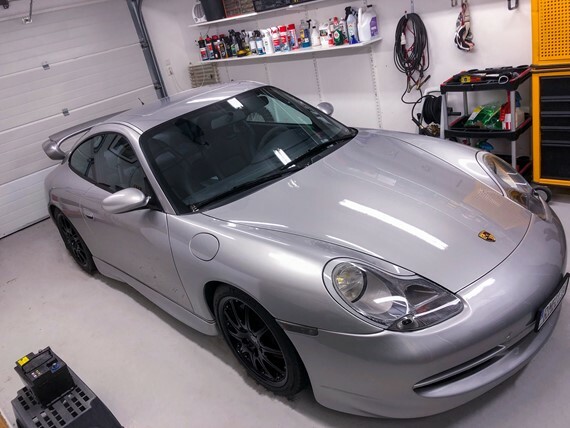 A 1999 C2, 68,000 miles, great history, IMS and clutch replaced a couple of months earlier, Aftermarket Aero kit that looks decent, genuine GT3 wheels, GT3 RS alcantara steering wheel and shifter, PSE, M030 chassies and in very good condition. I’ll try to give a recap of my ownership this far and I try post better detailed updates from now on. As I’m interested in detailing I wanted to give it a full detail, but decided to just enjoy driving it before winter. 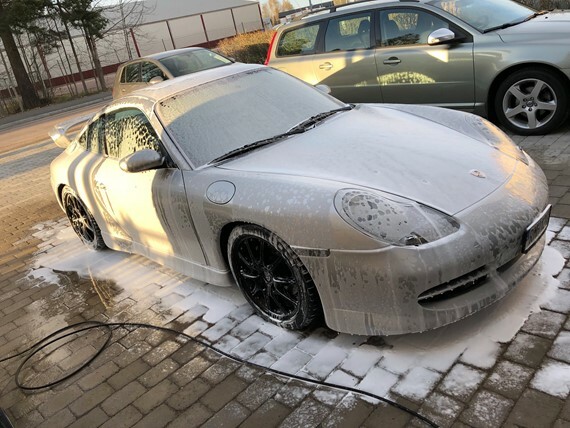 So, wash and drive. During the winter I made a full detail. Paint correction was a two step process with a cutting step with Scholl S3 gold withMeguiars microfiber cutting disc, and refinement with Sonax Perfect finish and Rupes yellow pads. Protected with Menzerna Powerlock topped with Collonite 845. 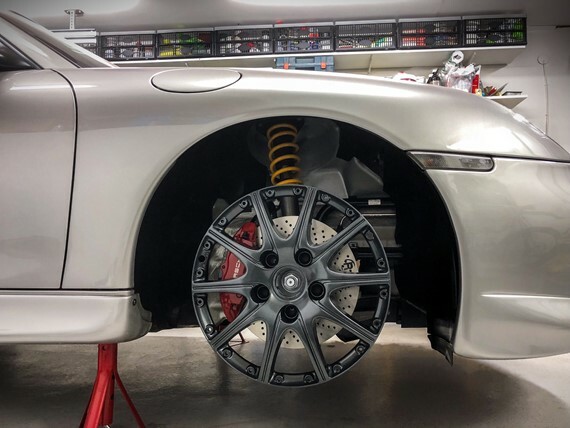 Glass were coated with Gtechniq G5, Rubber and plastictrims with Gyeon trimcoat, Faces of the wheels coated with Carpro Dlux, the insides are to corroded to do something about. 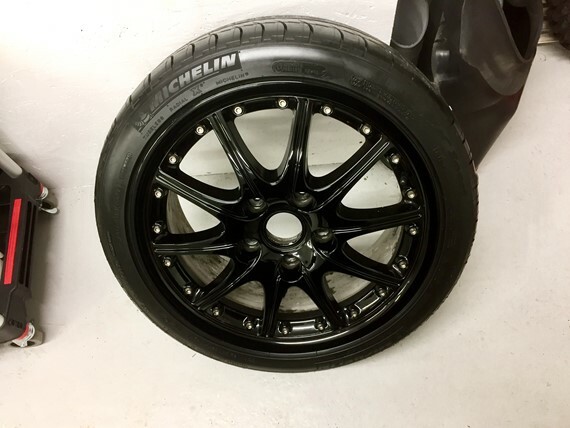 At this time I also had new Michelin Pilot Sport 2 tires mounted. Front bumper came off and radiators were cleaned etc..
Silver is hard to show gloss and dept but at this point the car looked great! Interior was cleaned using Carpro Inside. 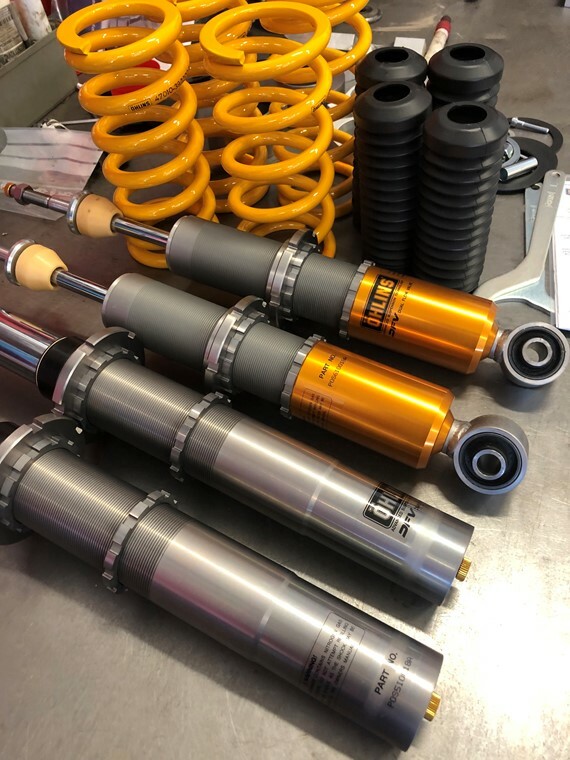 As spring came I took it to a friends shop and did the major service once again, as it were made the year before but I decided that I could as well do it all and have the oils etc that I wanted. Also changed the K&N airfilter to a BMC as the K&N were pretty crispy and dried out from the heat and age I guess. Now with new PS2 tires and some more seat time I could feel that the car felt a bit wobbly in high speeds, under hard braking etc... I went to Levin Racing for a 4 wheel allignment. We found out what I had slightly bent controlarms in the rear. 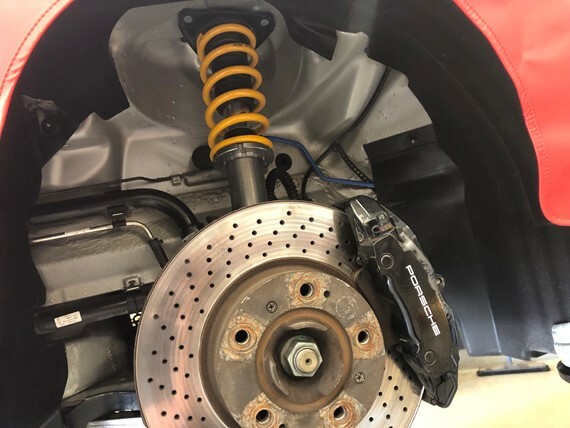 Looked almost like someone tried to jack the car up under them... Had them replaced and alignment set to a ”sporty” street setup. Car felt way better on the way home with the new alignment and new controlarms but the phone comparision etched in my brain so I called and scheduled a suspension upgrade as soon as I got home. I’m a sellers best friend. One week later, back at Levin Racing. This upgrade made it a completely different car! Both in performance and comfort! Superhappy. 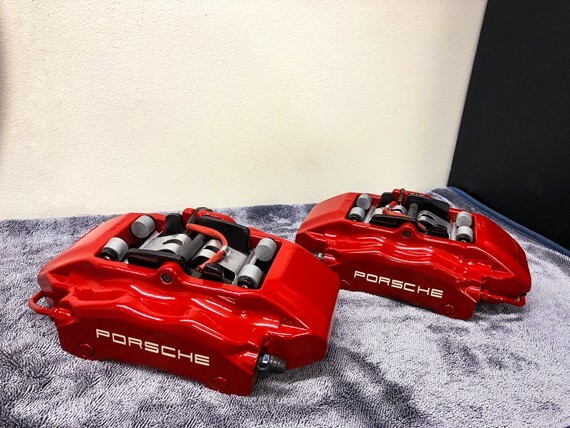 Now the seats became a issue as they didnt feel as sporty as the car so I got a set of GT3 replicas mounted. Now we are pretty much up to date as I just drove the car the rest of the season! I did replace the hood and trunk opening latches as I could not stop stare at the scuffed ones while getting in the car. Now I’m doing new brakes front and rear... Fronts are done, Calipers got new seals and gaskets, pads etc... 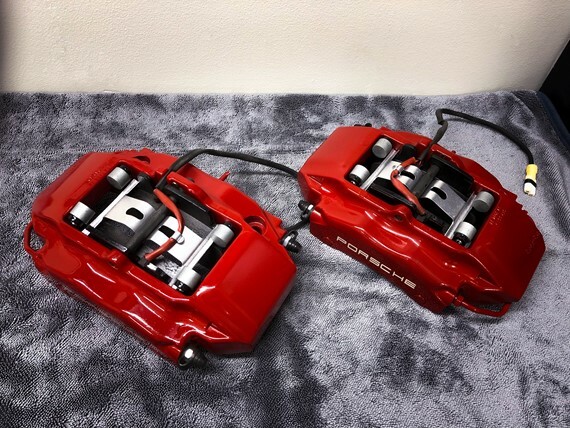 I painted them in VHT Red caliper paint, had a new Porsche lettering in place before clear coat and baked in the kitchen oven, which didnt make my girlfriend that happy. Really happy with the result. Hopefully I can start doing the rears next weekend! 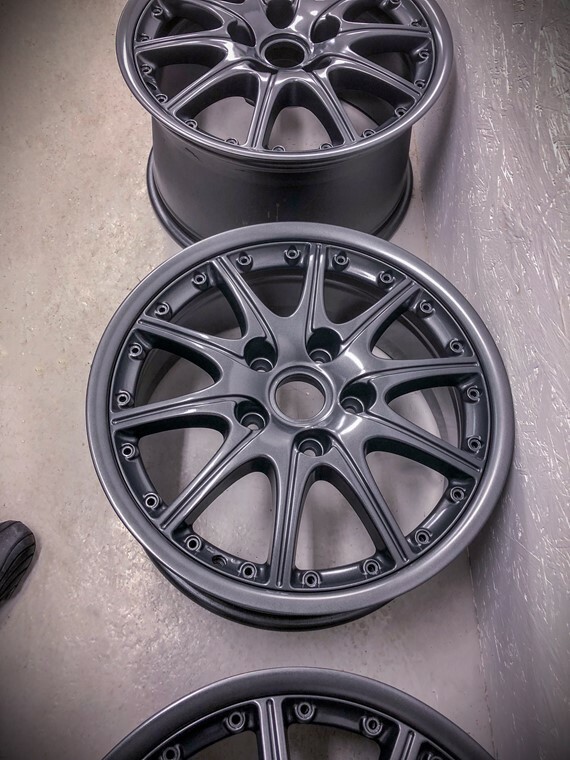 Another project for this winter are the wheels. I never liked the gloss black wheels. Even if I did something needed to be done becouse of the corrosion. 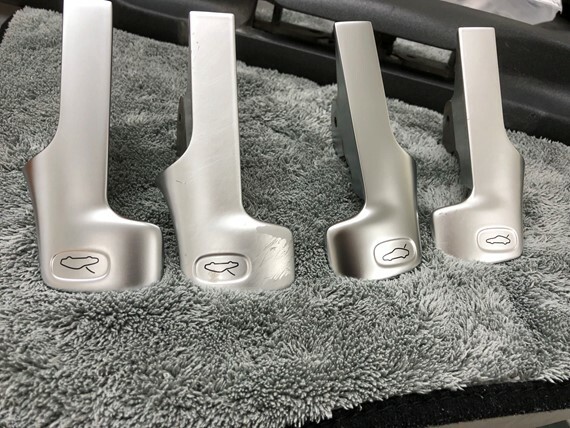 I had them repainted in Platinum Satin. I think they look good? I just picked them up yesterday so I have not bolted them together yet. Now we are up to date! I’ll try to keep updates coming! I hope my english isnt too bad! Very nice, wheel colour is spot on now. I've followed a very similar path with my car, with the seats, red calipers, suspension, etc. It's amazing how different the same car can feel from beginning to end. I look forward to more updates. Nice looking car and i do like the wheels. Incredible mileage though. 6800 miles? It really is amazing how a car like this can be barely driven for 20 years! Thats about 340 miles per annum! Lovely looking car with some great mods. Great choice for the wheels too. Any details on the replica buckets? Yeah, was that meant to say 68,000 miles? Car looks great; since you’re not afraid to modify your car, I’d recommend having the centre console painted in body colour, and have red seat belts fitted. Brighten up the interior. Ooh sorry, of course its 68,000 miles! 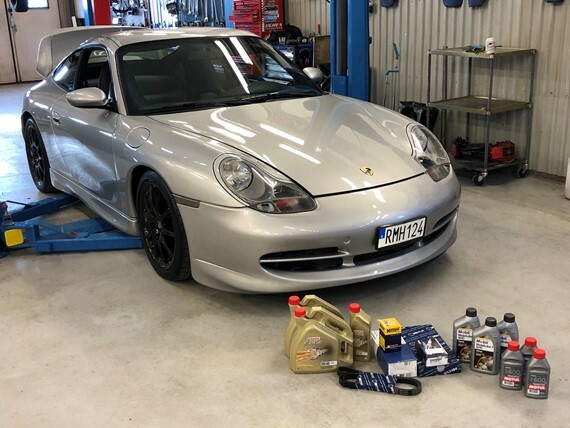 The trackdays for Porsches are quite big in Sweden. 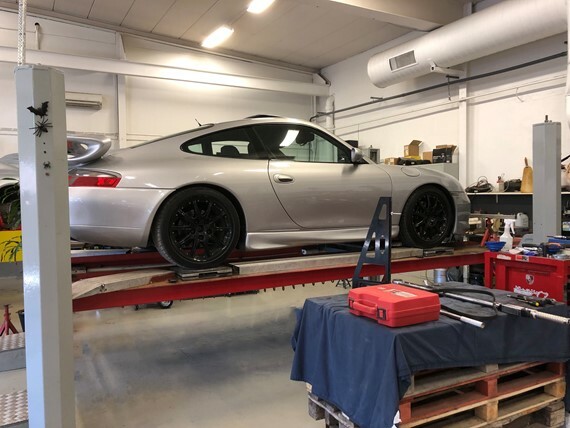 I believe that PCS, Porsche Club Sweden is the 4th largest? US, UK and Germany are bigger. I will definately try some trackdays this year, but its nothing that I have done before. 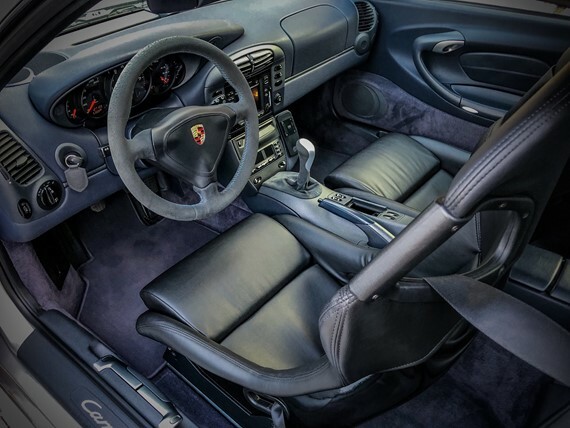 As for the interior, I really like Marky911’s interior! 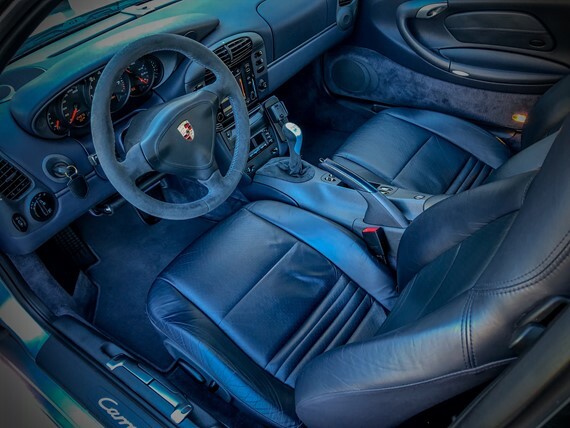 Since my car being silver, maybe black interior with grey alcantara parts? Thank you! I really like your thread and it inspired me to do this writeup! I bought the seats as ”new used”... 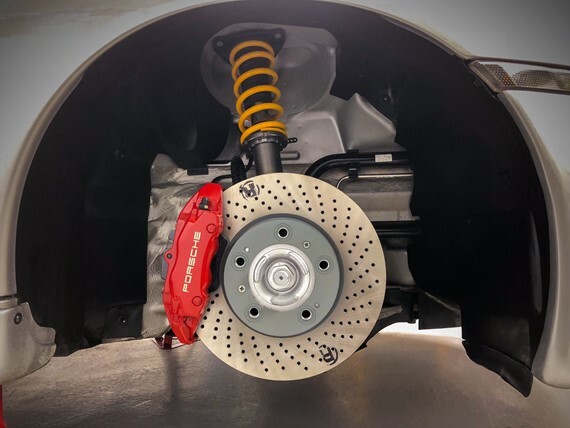 He bought them for a Audi S2 like 5 years ago but never had them mounted. I guess its the typical ebay replicas. Looks and feels great though. Design911 sell them. Check this thread, all the info you need.